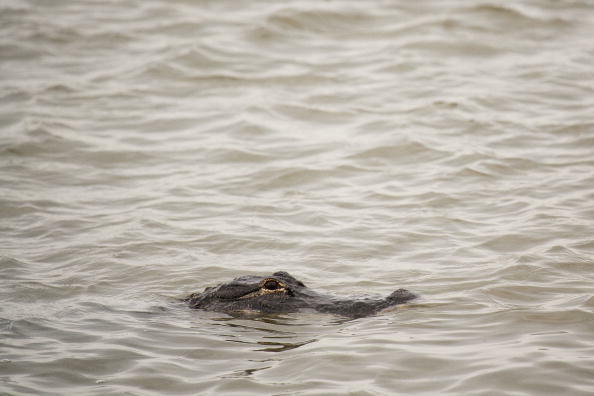 “He hid in the wrong place,” said Laura Farris, a Barefoot Bay resident, told Bay News 9. Brevard County Sheriff’s Maj. Tod Goodyear says 22-year-old Matthew Riggins told his girlfriend he would be in Barefoot Bay to commit burglaries with another suspect. “He was going to do burglaries in the Barefoot Bay area with another individual,” he told the station. Authorities received calls Nov. 13 about two suspicious men in black walking behind homes and investigated. Riggins was reported missing the next day. “Do you still hear them hollering, or did they hunker down?” police officers could be heard saying on scanner radio. Police searching the area reported hearing “yelling,” but they could not determine the source, Goodyear added. According to Florida Today, a second person was taken into custody.